Ready to make some music? Press E to access your inventory and find the Note block. 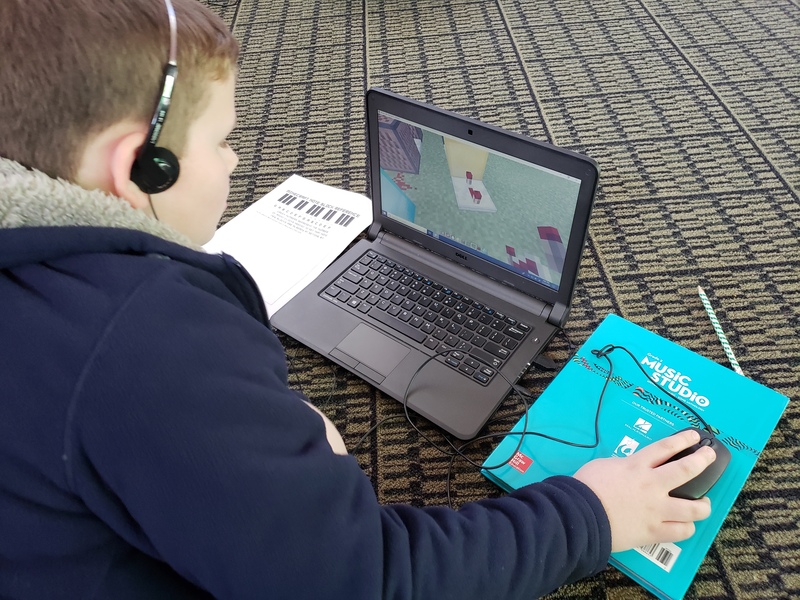 In this lesson, students used materials in Minecraft: Education Edition (MEE) to create a note block path that played the tune to Mary Had a Little Lamb. Let’s see what’s inside this lesson. 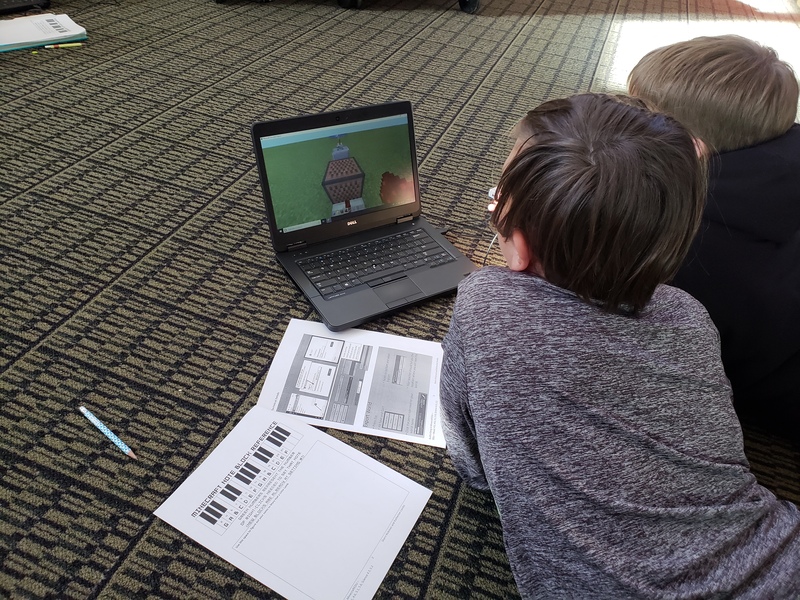 The fourth and fifth-grade students at Cave Spring Elementary School in Ms. Combs’ class have been learning about pitches, rhythms, and notes on the scale. They have been playing all kinds of musical instruments to explore different pitches and rhythms. This week they have been using a different kind of instrument; the kind found inside of MEE. Students are using materials inside of MEE to build a note block path to play the song Mary Had a Little Lamb. 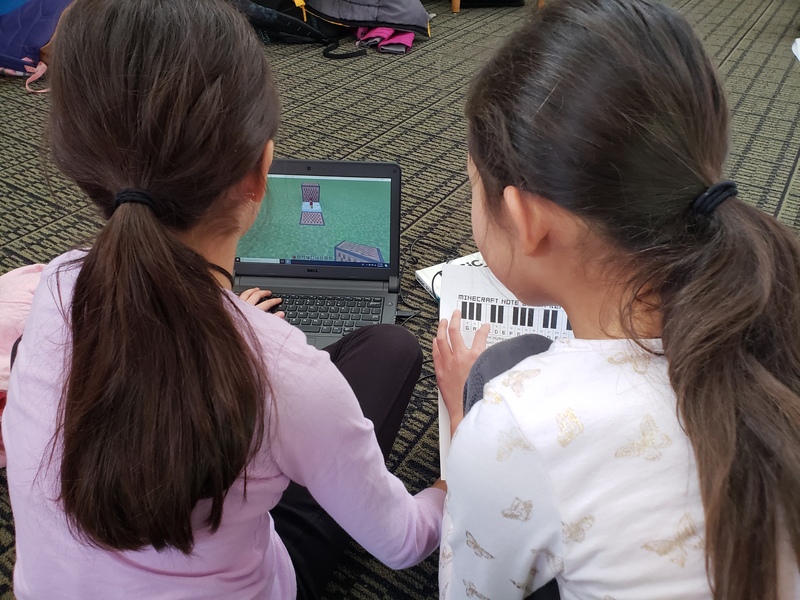 During this activity, students have been working in pairs to read the notes on the scale, then tune the MEE note blocks to that pitch, and use gold blocks to represent the quarter rests in the song. Students also had to apply some science knowledge in order to play a continuous song by creating a red stone circuit. The circuit was created with red stone and repeaters. The repeaters acted as a source of delay between note blocks, which helped students get the melody of the song. We are still in the early phases of this project, so stay tuned for more pictures and videos. We plan to use Flipgrid (if only they had screencasting) to record the finished project and get the thoughts of the students. If you want to start your own music project inside of MEE here is a link to our lesson plan.